These shoes have greatly improved my stability at the line, and the slide is perfect. Having the sole of the push-off shoe be grippy rubber helps me walk straighter on the approach, and helps me enter the slide with more energy and straighter. I wish I had bought shoes of this caliber a long time ago! Very nice shoe, wanted more grip from my non slide foot. A lot better than my Linds Classics!!!! Is the sizing the same as the Dexter 9? Hello! The sizing should be fairly similar to THE 9. I would still recommend getting the True Fit Guarantee just in case you get the shoes and they don't fit how you want them to. Do Dexter The 9 soles fit this shoe? Hello! Yes, THE 9 soles should work for this shoe. What width are these? I need a narrow shoe. Hi. 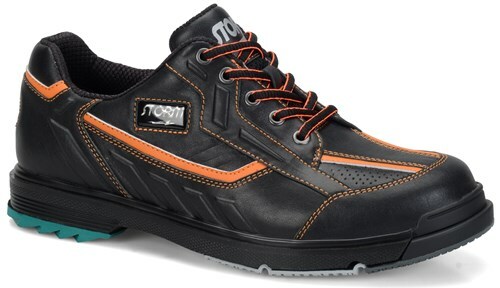 The width for the Storm Mens SP3 Black/Orange will be a D width. Hello! 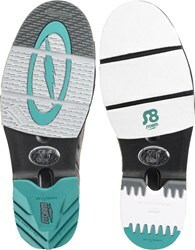 Yes, THE 9 soles will work for this shoe. Does this pair come with extra slide soles or just whats on the shoe ? This shoe will not come with extra slide soles, it will only come with what is on the shoe. Are they available in left handed? These will be interchangeable soles, so they will be for either right or left foot. Is size 14 wide available ? Does these shoes have the same sizing as the SSTs? I wear 8.5 in sst8 shoes, but i see you guys dont have that size available here (only 9 size). what should i do? Dexter makes Storm shoes so they should fit similar to them. Due to the time it takes to produce the Storm Mens SP3 Black/Orange ball it will ship in 2 bus. days. We cannot ship this ball outside the United States.